Before I went off to school, I made an appointment to get my hair done with my hairdresser and lovely friend Kate at Sweet Olive Salon. 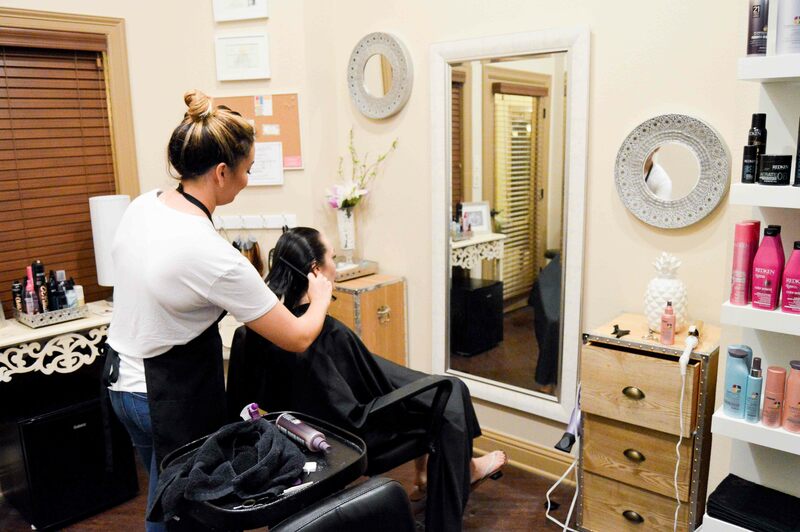 I’m going to start off this post with a few pictures of her salon because it’s incredibly cute and definitely the kind of place you want to spend time in when your hair needs a pick me up. Then, I’ll go into the Q&A portion since I asked Kate the hair questions we’re all dying to know! 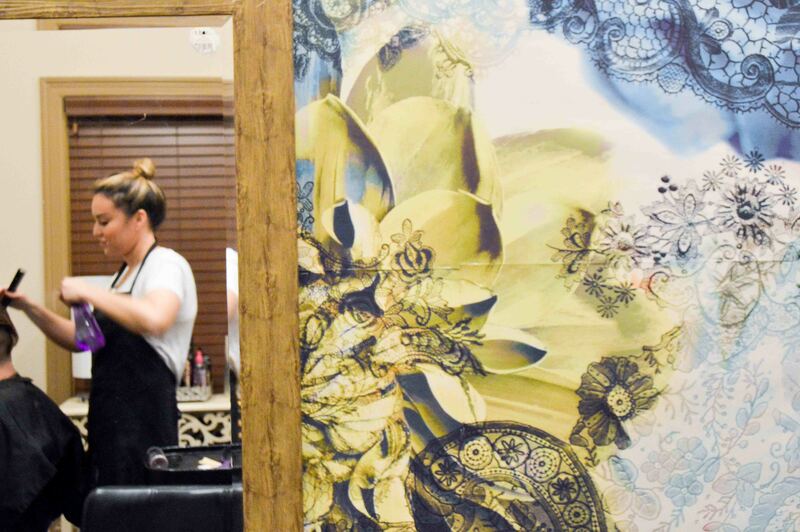 *Note: Since this post’s original post date, Kate has opened her new salon in Tomball, Texas in Old Town Tomball, “Le Sugar Salon”. 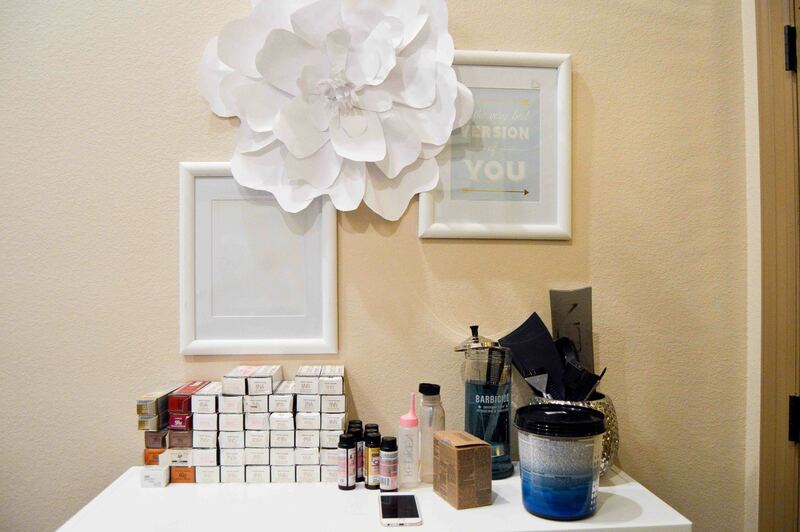 She works out of the cutest little home, and has other beauticians there that offer facials, make-overs, waxing and more! Book an appointment here. 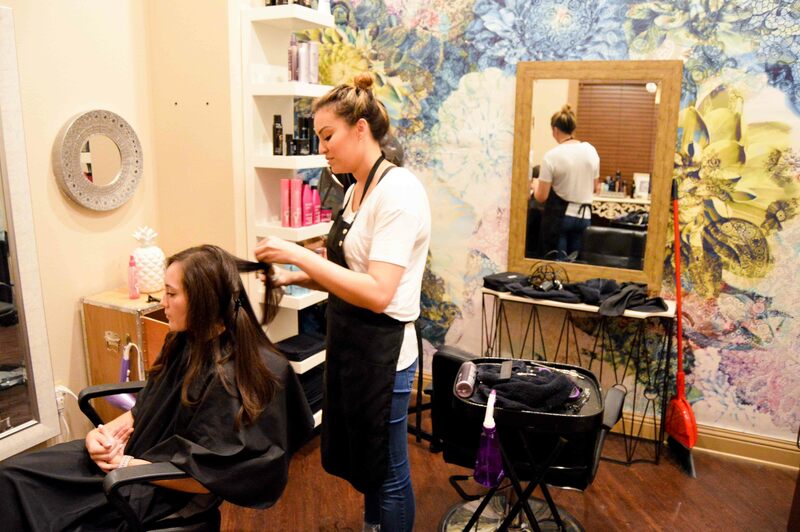 Her salon is so cute and is in the heart of Vintage Park, so it’s perfect to stop in before a lunch date at Mia Bella or a crepe at Coco’s! 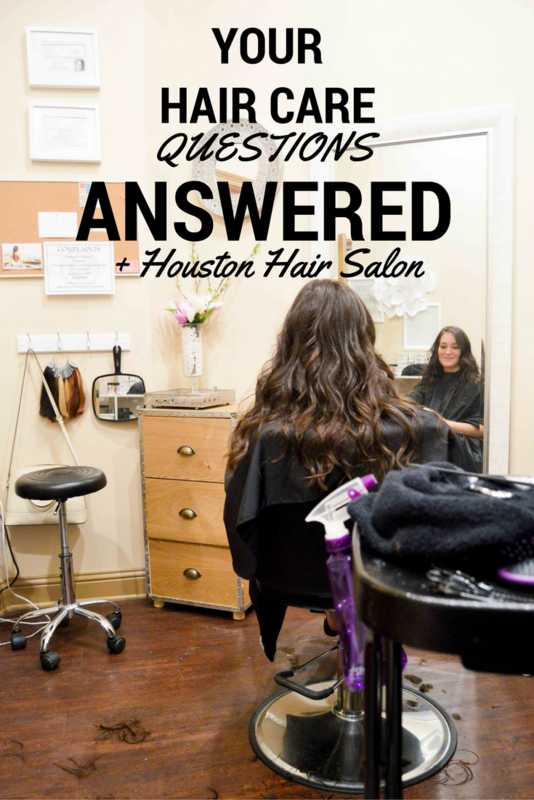 I decided that while I got my hair done, I’d ask her some questions that I know we’re all dying to know when it comes to taking care of our hair! 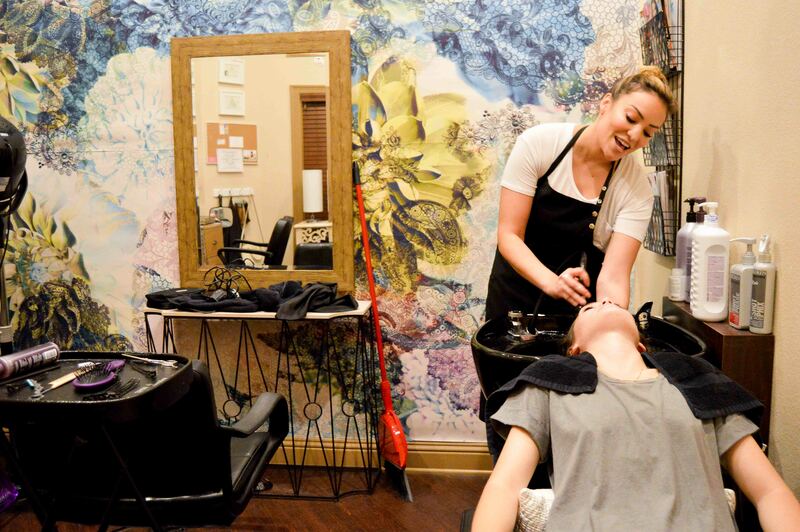 How often do you really need to come in for a trim? Kate shared with me that for people with long hair like me, you can come in about every 8 weeks or so. Shorter hair that is being kept short requires a trim more often so that it doesn’t lose it’s shape and style. I had a bob a few years ago and I had to come in about once a month, so it didn’t grow out and lose it’s A-line! How do you grow your hair out? What should you do? Kate and I talked a lot about healthy hair. 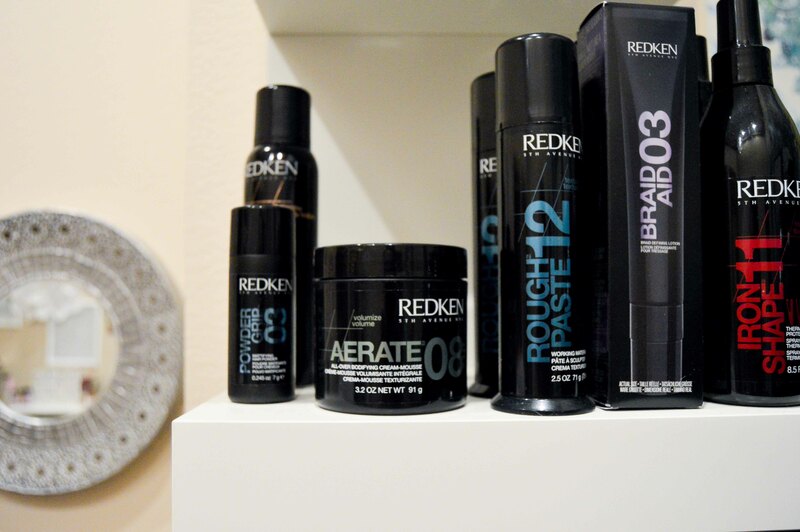 If you want your hair to grow, you just have to keep it strong and damage free! I learned that from growing my bob out to my longer hair today – skip the heat every day, make sure you’re protecting your hair, and don’t skimp on the hair care products. Masks and serums will help get your hair healthy and it will grow. 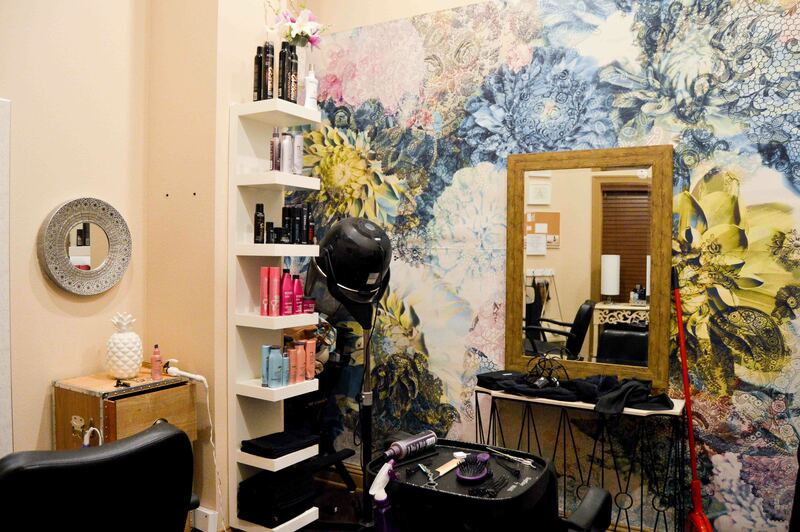 As for hair cuts while you grow your hair out….you may want to come to the salon less often. A lot of people are under the impression that trimming your hair on a regular basis will help it grow. While this is somewhat true, it really is a means of keeping your hair healthy….it doesn’t give it magical growth powers. 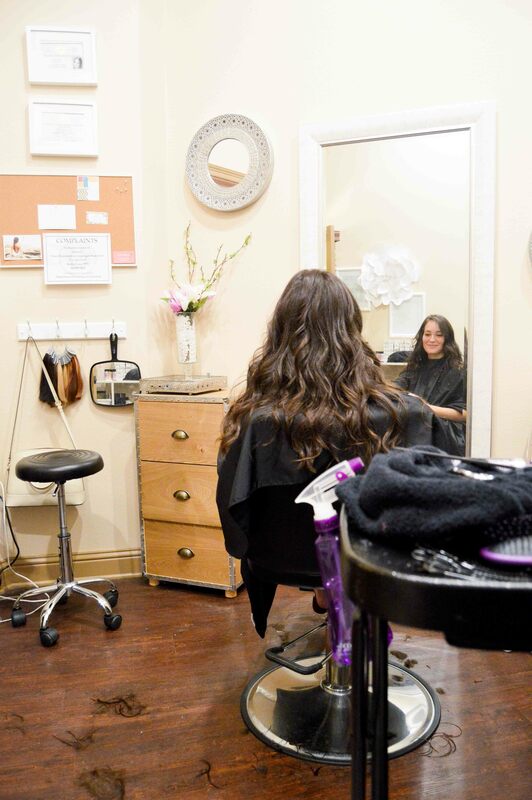 So, book your trims farther apart and just focus on keeping your hair healthy with the tips previously mentioned! What’s the best drug store shampoo and conditioner option? 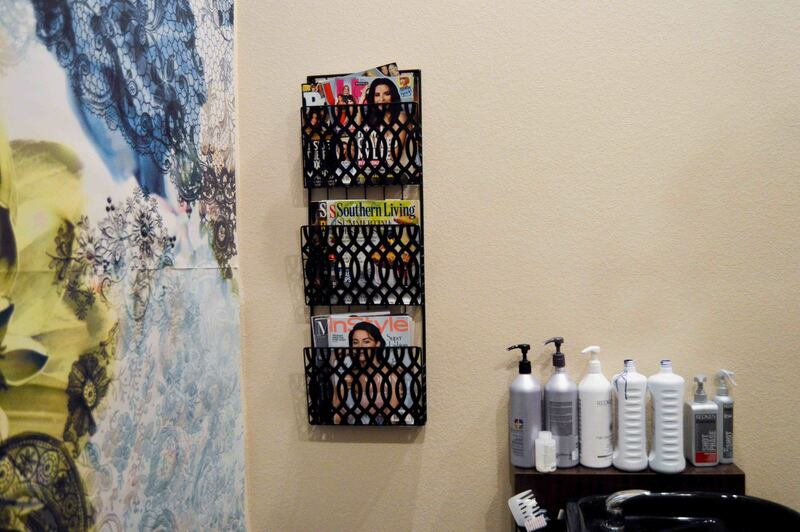 Kate’s favorite is the Loreal Clear Hair and Scalp! Other shampoo brands you may find at your grocery store have a lot of harsh chemicals that aren’t good for your hair and will wash out any color that you get pretty quickly. And that reminds me – when you get your hair colored, you really need to think about what products you’ll be using at home. 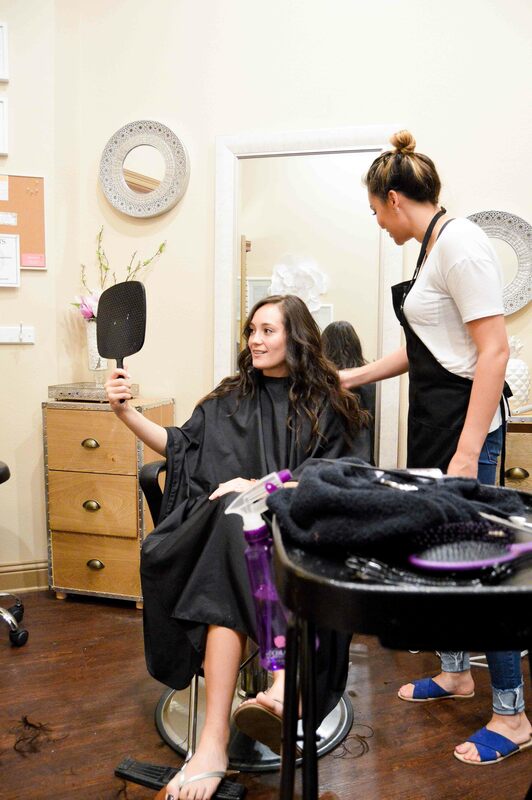 Kate explained to me that often times she has people come in and get a very beautiful, very expensive hair color treatment and they leave the salon looking great, but their color gets washed out in a matter of weeks. 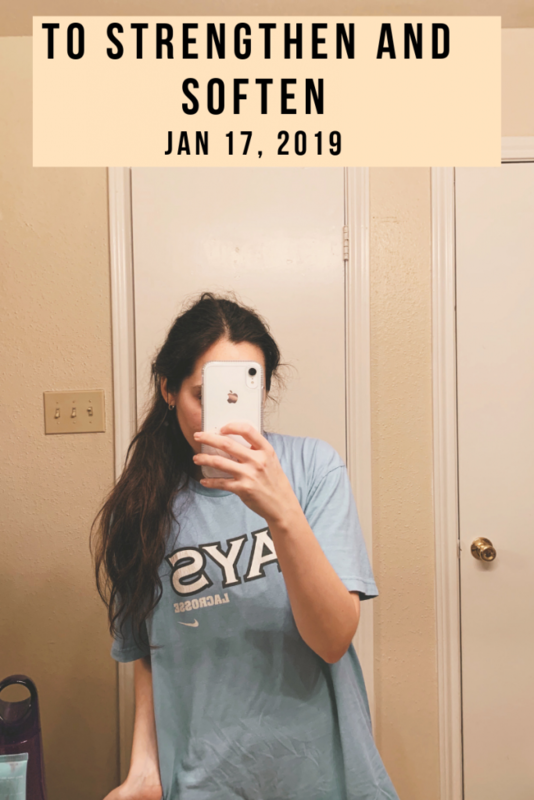 For those of us on a budget, it just doesn’t seem sensible to spend a good amount on getting our hair done only to have that beautiful color fade so quickly. 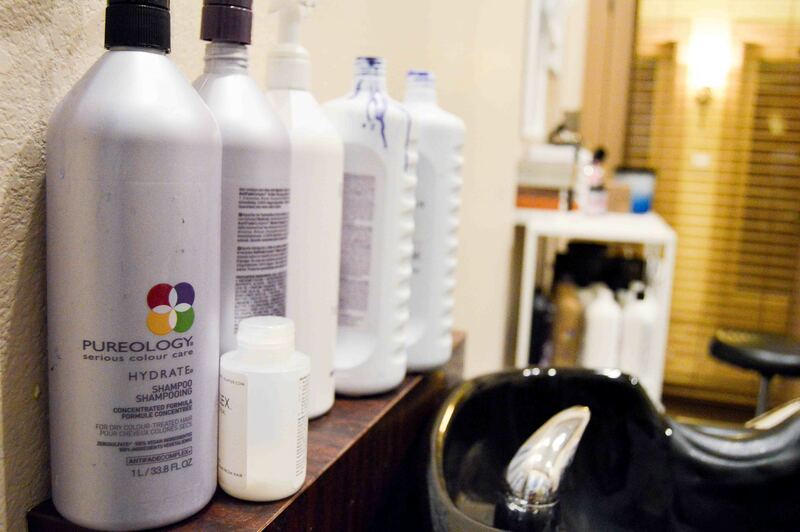 When you’re factoring in the price for your new highlights or color, look into what color-treated shampoo and conditioner you will need to buy and take that under consideration. 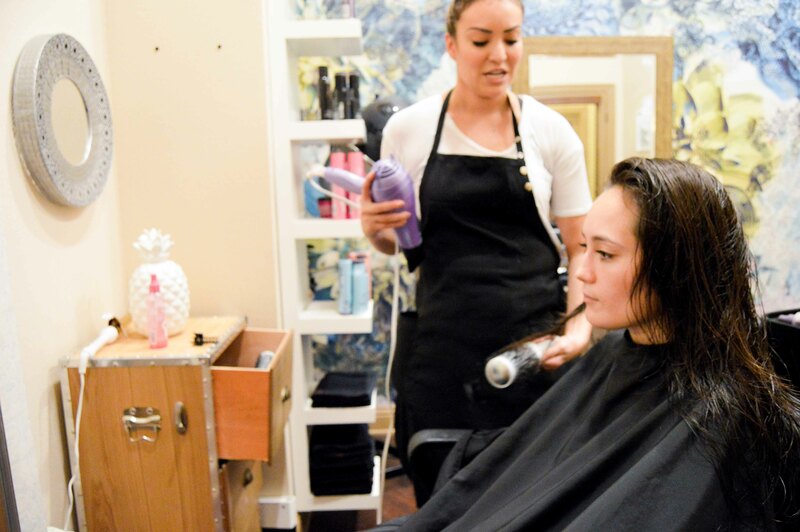 Your hair dresser will have some great recommendations!  What’s the most popular hair color at the moment? Everyone’s getting the balayage! Kate said that most people love it for how natural it looks and how low maintenance it is! You can go anywhere between 3-6 months before you have to touch up. 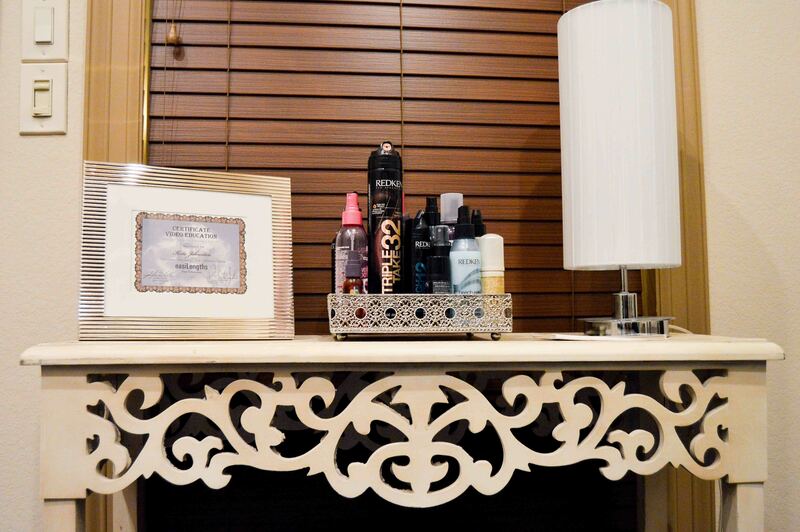 How can you get that salon look at home? 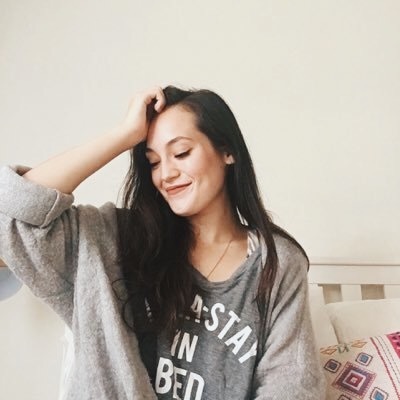 Since the round brush and hair dryer is a hard skill to master and do by yourself, try blow drying your hair upside down for volume and then brushing out the ends to get that smooth, polished look. 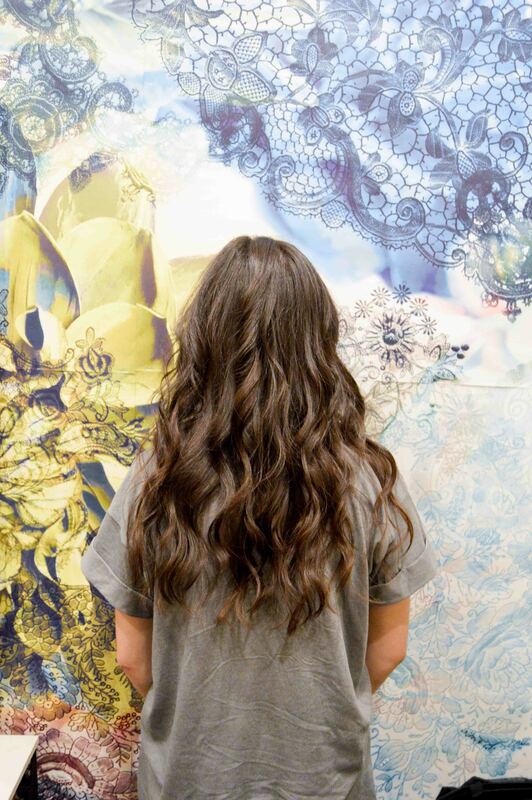 What should you tell your hair dresser if you want layers? 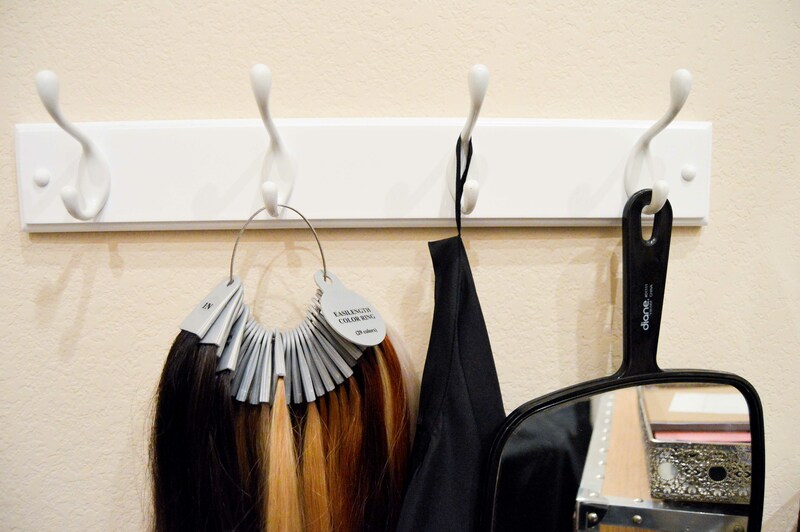 It depends on what type of layers you want – if you really want texture and a lot of layers, ask for piecey layers. If you want just a few, ask for long layers. If you want them concentrated in the front, ask for face-framing layers. 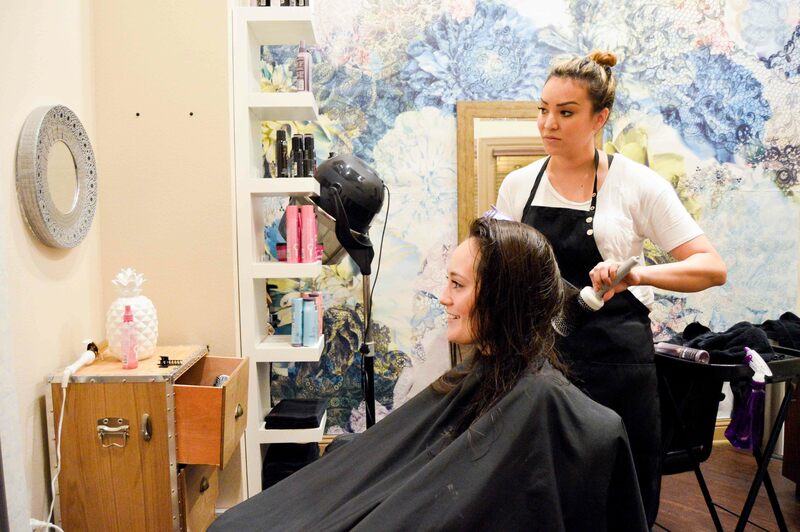 What’s your best tip for leaving the salon happy with you hair each time? 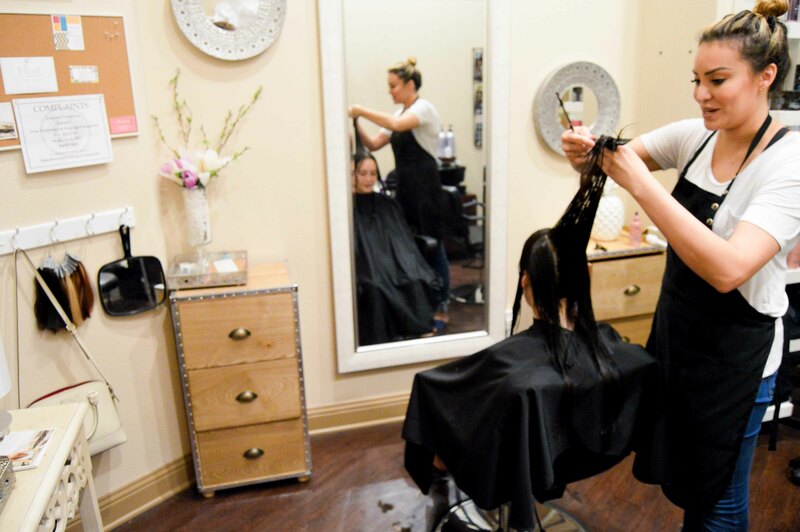 The common mistake is that people will show their hair dresser a picture of some random celeb or Pinterest anon and say that they want their hair to look like “that”. 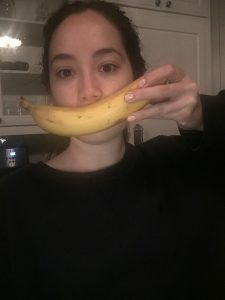 Showing a picture is great, but you need to make sure the person in the picture has a similar hair type, face shape, and even bone structure. That hair “do” on Olivia Palermo won’t look the same on you if your face and hair looks nothing like hers! So just be mindful of that, and you can leave the salon in love with your look! 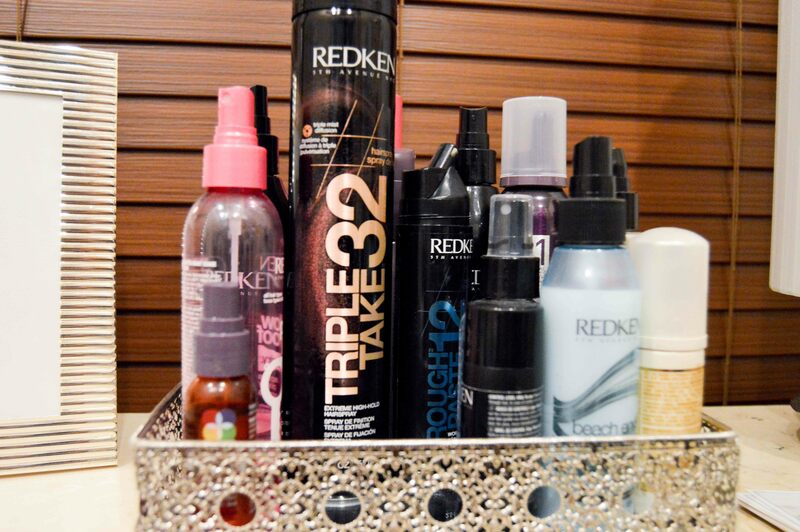 What hair care items should every girl have at home? Kate and I are in total agreement on this: dry shampoo, heat protectant, and a serum! I love all of these options because one bottle of each can last you forever and places like Ulta have great deals and sales. We also both agreed that the Not Your Mother’s brand is the BEST and you can never go wrong with it. 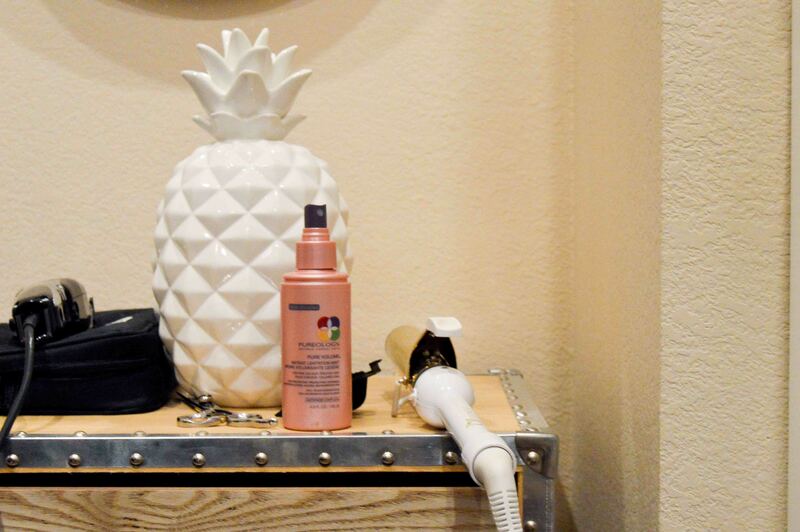 What’s the best curling iron? Kate loves the 1 inch Babyliss! I’m so thankful that Kate took the time to solve all of our hair mysteries! I always have a great time chatting with her while she works her magic on my hair. Here, I got some layers because I had finally managed to get my hair to the length I wanted it, but it was looking a little blah and just fell in one sheet. Now it has some volume and lightness to it, and it even looks longer with the layers! 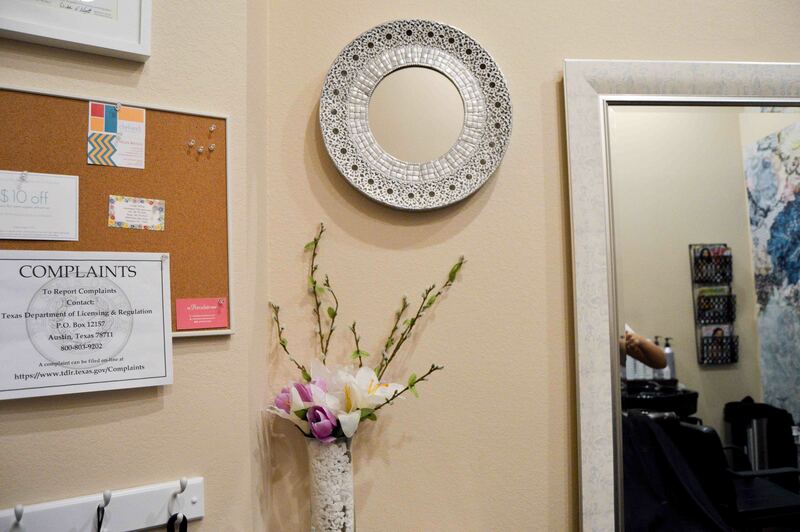 If you’re in the Cypress, Tomball, or Houston area, I can’t recommend Sweet Olive Salon enough! 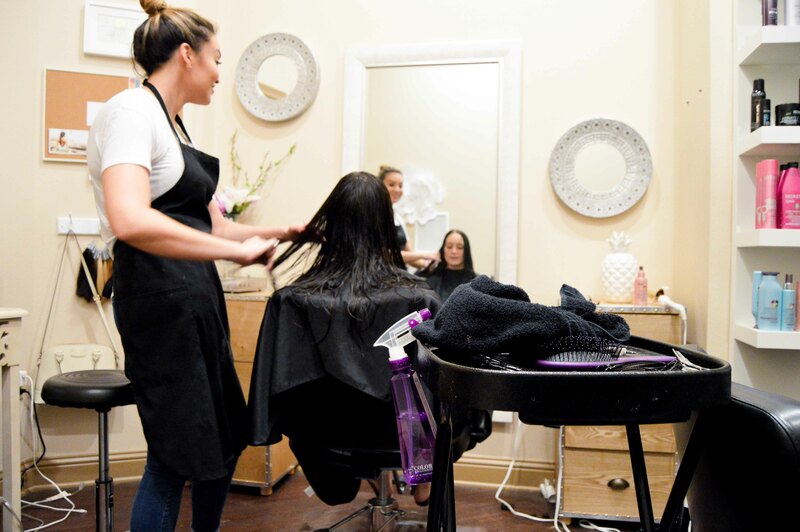 I think that the most important part of picking a hair salon is going somewhere where you know your hair dresser will be able to see your vision, but also what it going to really work best for you. 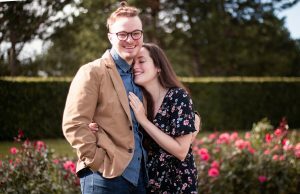 I just let Kate work her magic each time and I’m always happy! 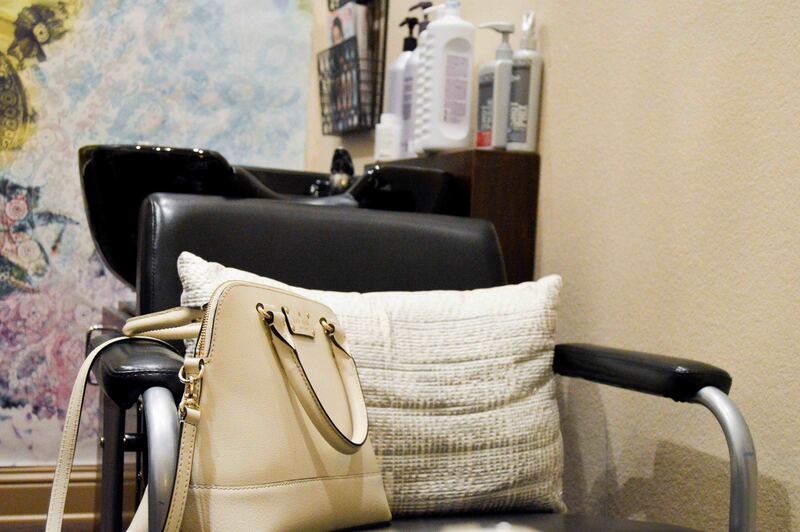 You can book your appointment here and if you mention my name on your visit, she’ll give you a 20% discount! Yay!! Have any hair questions for Kate? Let me know and I’ll ask next time I’m in! How to Meet People Near You + Apartment Tour!